This Zipper has two slides and can be opened from the top and/or the bottom. Great type of zipper for heavy winter coats where more leg room may be needed for driving the car, while still keeping the top slider zipped up. 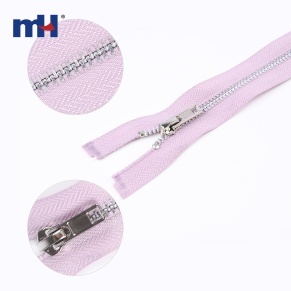 The zipper halves will completely separate just like a standard jacket zipper.